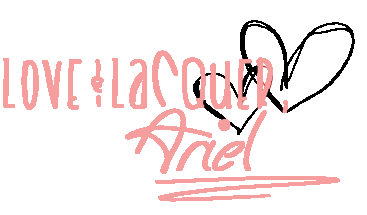 Hi, Lacquerbeanz! 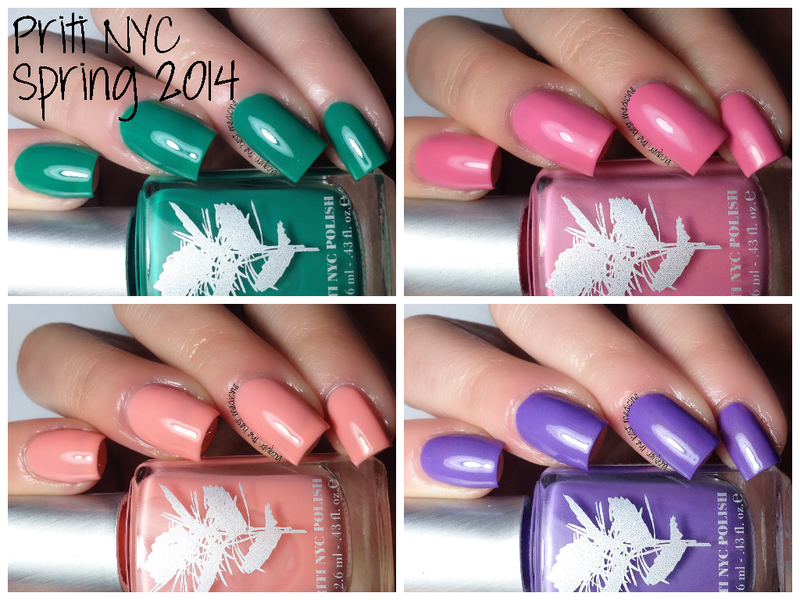 Today I have the spring 2014 collection from one of my favorite brands: Priti NYC. All polishes are 5 Free & Vegan, completely non-toxic, and are free of toluene, dibutyl phthalate, formaldehyde, formaldehyde resin, and camphor. First up is Devil's Ivy, a gorgeous green jelly with a perfect formula. I used two coats with topcoat for the swatches below. Next is Nearly Wild Rose, a girly pink creme polish. Although the polish is very opaque, I think it is best in three coats to level out any streakiness or bald spots. My swatches show two coats with topcoat. 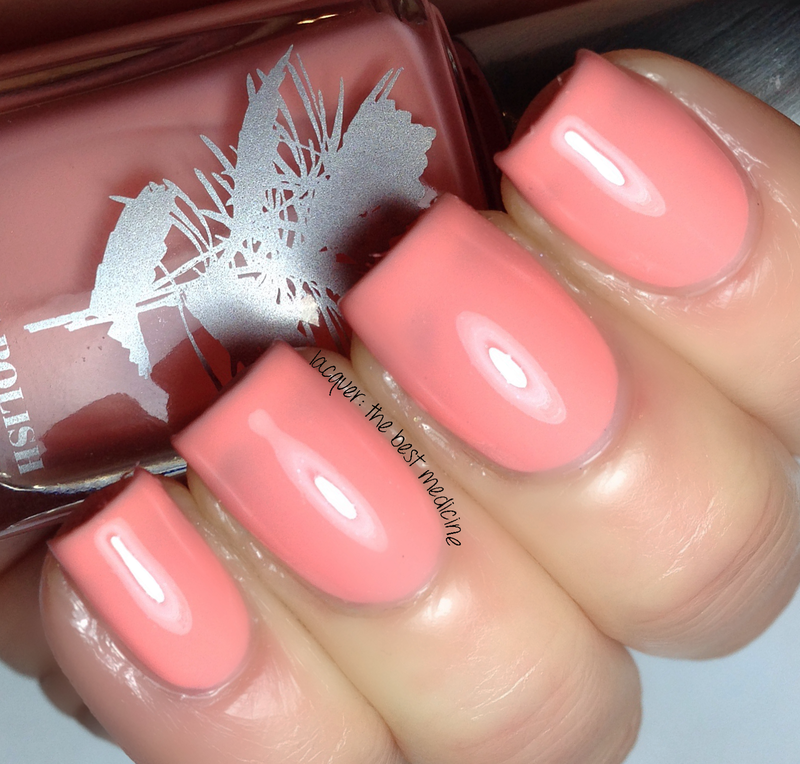 Chorus Line is a pretty peach creme polish with a subtle shimmer (that is INCREDIBLY hard to capture on camera!). 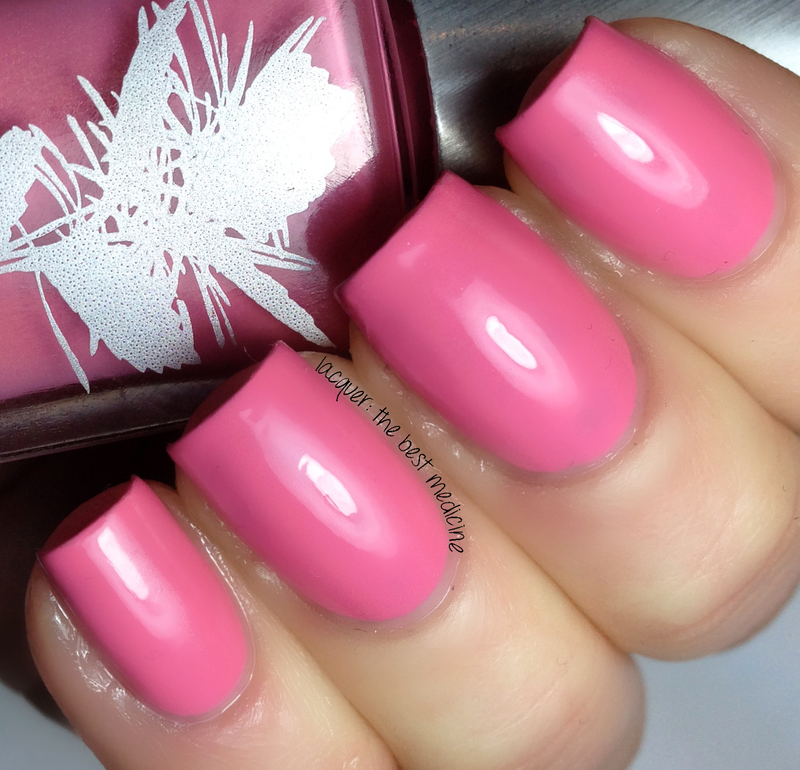 The formula was nice for this one, and I used 3 coats plus topcoat for the swatches below. Finally, we have May Flower, a frosty purple creme with LOTS of shimmer! Application was perfect, and I used 2 coats plus topcoat for the swatches below. That's all for today, Lacquerbeanz! Do you have a favorite from this collection? Let me know in the comments! What great shades! I love my cremes so these are nice. 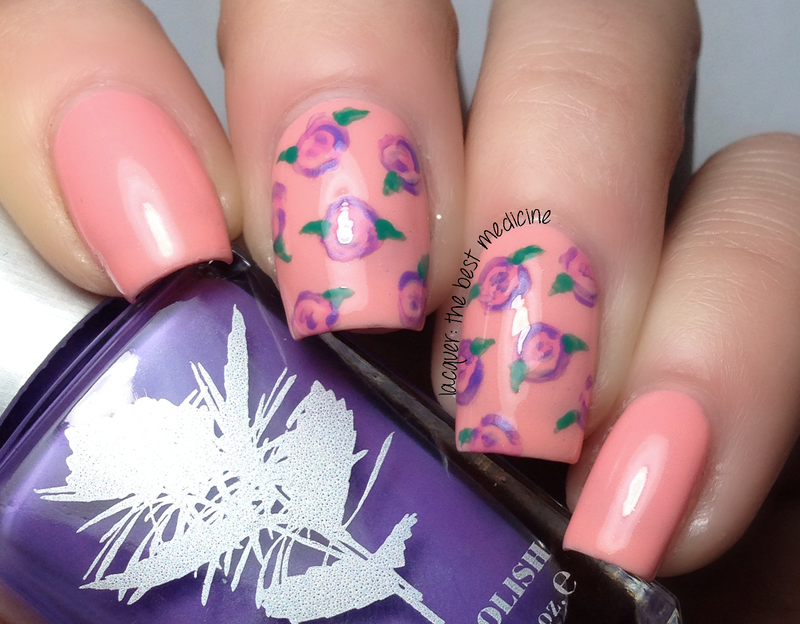 Such a pretty floral mani too.